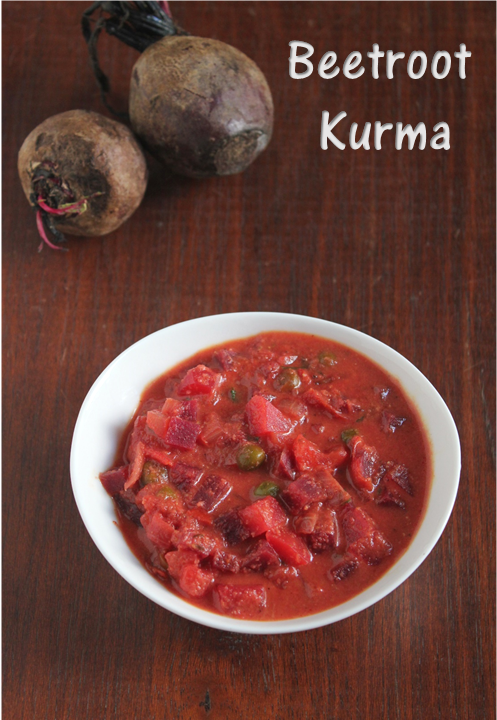 Beetroot is one vegetable that we are all very fornd of, but i have seen many of them do not prefer beetroot.We make curry(poriyal),put it in sambar,kootu,salad and of course the ABC juice.I always pick up a few beets while buying vegetables.After trying out the familiar dishes i wanted to make something new specially to go with chapathis because i really run out of choices of subzis for chathis often.I was searching the net and found this beetroot kurma in few blogs,then i tried it out immediately.It is actually kurma with lots of beets and it was yumm with the phulkas. Ragi is a very nutricious cereal loaded with protein,calcium and iron.It is a powerhouse of nutrients,ragi helpsrelieve stress and anxiety and is a great remedy for gastro-intestinal problems.It is packed with fiber and is digested slowly.This keeps you full for longer,makes you less hungry and aids weight loss.Its fiber is also beneficial for diabetics as it helps lower blood sugar levels in the body. Though Ragi is not a favourite food in our house because of its health benefits i have started making lots of ragi recipes.Ragi dosa,kanji etc.I used to add them in the atta that i make chapathis with. 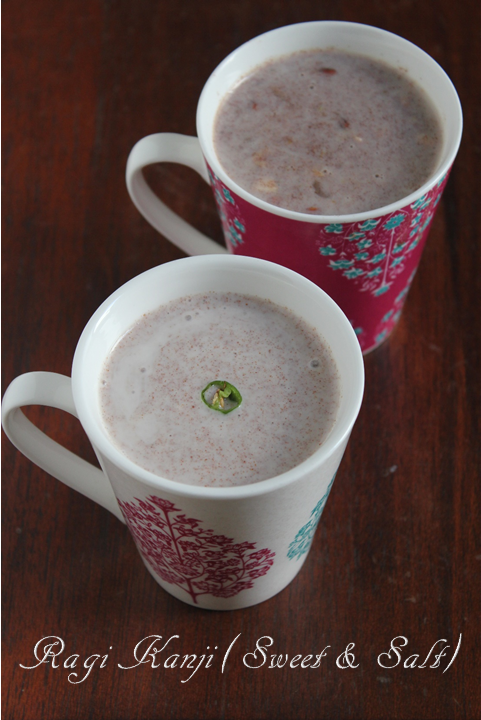 Ragi kanji is a very easy recipe that you can make in two falvours one with milk,sugar,nuts and cardamom powder and the other with buttermilk and spices. 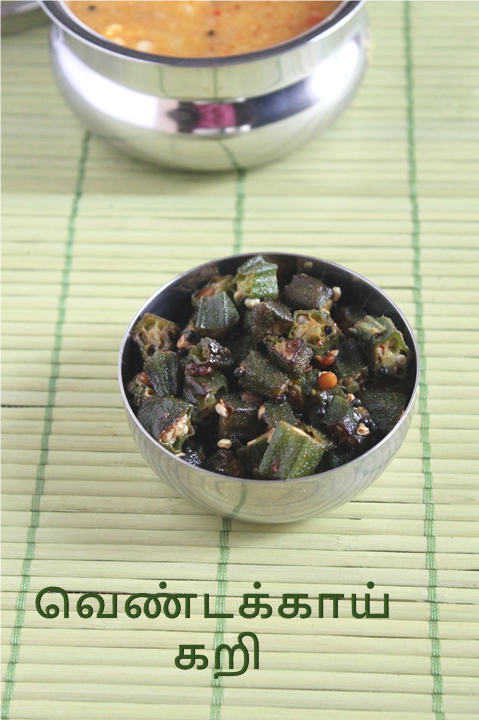 Lady's finger is called Vendakkai in Tamil.It is a very common vegetable in Indian homes.We make Vendakkai sambar,curry,north Indian syle Bhindi fry,Dahi Bhindi etc but the most common way i make is the vendakkai curry/poriyal to go with the south indian gravies like sambar,vatha kuzhambu or rasam. It has lot of Health benfits and most of us would have grown up listening to our mom saying Vendakkai is very good for brain development and we would do very good math if we eat lot of this simple vegetable.It cooks easily and easily digestible aslo.It can be grown in our home also.